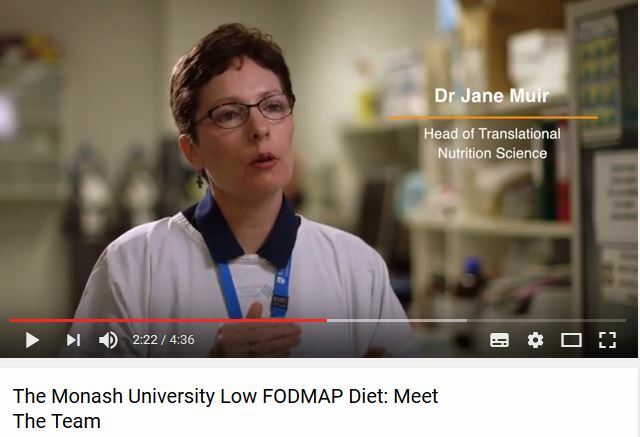 Video of the week: Meet the low FODMAP research team! The Low FODMAP diet was developed by a team at Monash University's Department of Gastroenterology in Melbourne, Australia. The team identified that a family of short chain carbohydrates (called FODMAPs) provided major dietary triggers of Irritable Bowel Syndrome (IBS) (which affects 10-15% of the population). The Low FODMAP Diet now has a high level of clinical evidence and is becoming the primary therapy for managing IBS. The diet is highly effective in 3 out of 4 IBS patients. Monash has built the world’s largest FODMAP food composition database and utilised digital technology (The Monash University Low FODMAP Diet App) to help health professionals and patients ‘implement’ the diet. Additionally, a food certification system (Monash University Low FODMAP Certified) has also been developed to assist consumers to make informed decisions about the suitability of certain foods in the management of their IBS. Certified products currently available are listed in the App. Thur 27/10/2016 ► 12:00 Grand Rounds: Difficult Asthma Evaluation- Acumen or Algorithm? 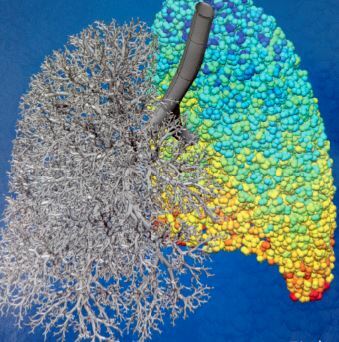 3 Nov CCS Postgraduate symposium: All invited! Central Clinical School (CCS) is holding its 8th annual postgraduate symposium! The event aims to improve the visibility of students and their research projects on a larger scale and celebrate their achievements. They not only make the presentations, they run the show. Please come along and support our students. There is an audience vote winner as well. 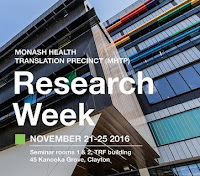 Monash Health Translation Precinct (MHTP) Research Week 2016: All welcome! From 21 – 25 November, the MHTP Translational Research Facility will become a centre of activity as researchers and staff from across the precinct and all partner sites come together to celebrate and showcase the year’s research achievements. 2016 Alfred Health Research Week is happening this week! AMREP based staff will have seen the corridors lined with posters. 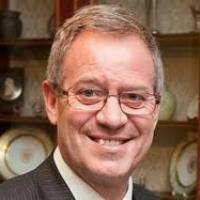 Everyone is invited to attend the keynote speech 12-1 pm this Thursday, 20 October, being given by Professor Joseph Trapani. 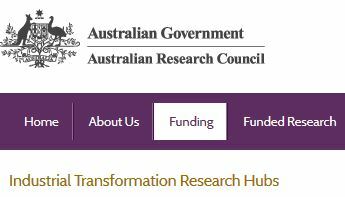 See below for detail of programs. recipients helpful for prediction of viremia. Recent publications for Central Clinical School affiliated authors in the departments of ACBD, AIRmed, Gastroenterology, Infectious Diseases, MAPrc, Medicine. Professor Paul Zimmet gave a lecture in the Jeffery Cheah Distinguished Speakers Series in Kuala Lumpur earlier this week. His topic was "Diabetes – The Greatest Epidemic in Human History? Implications for Asia". 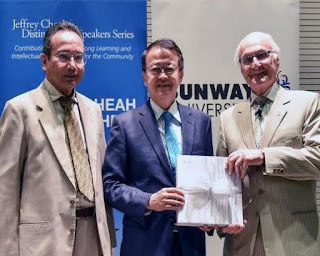 Jeffery Cheah is Chancellor of Sunway University and MD of the Sunway Corporation and one of the founding funders of Monash Malaysia. The Monash campus is next to Sunway and they work closely.